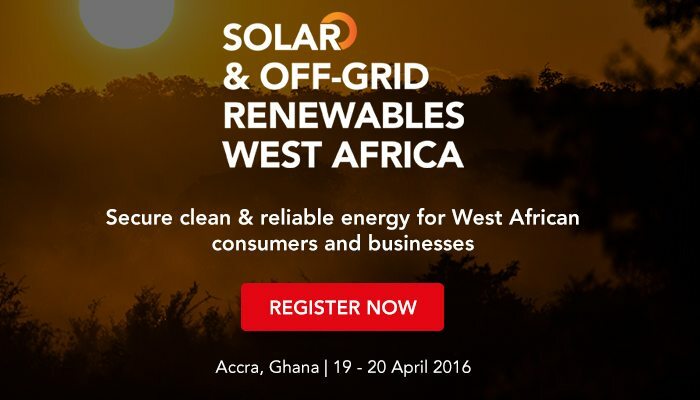 Solar and Off Grid Renewables West Africa 2016 Conference will bring together key regional and international players from the solar industry to explore the huge on and off-grid market opportunities in West Africa and beyond. With over 50 international speakers, this two day conference will provide fantastic opportunities for in-depth discussions and networking. Delegates will discover strategic business opportunities in the region, network with international and local key industry players including financiers, project developers, government, end users and manufacturers, hear policy and regulation updates from government officials, attend interactive sessions and learn from innovative case studies. Book using the promotional code CR20 for a 20% discount on ticket, exclusive to Construction Review Online.